Baldwin City Recreation Commission (BCRC) is committed to teach the game of basketball in a fun, competitive and instructional atmosphere. We are focused on improving the ability of every player while enhancing the experience for every family. Our hope is to create a passion for the game that will last a lifetime. 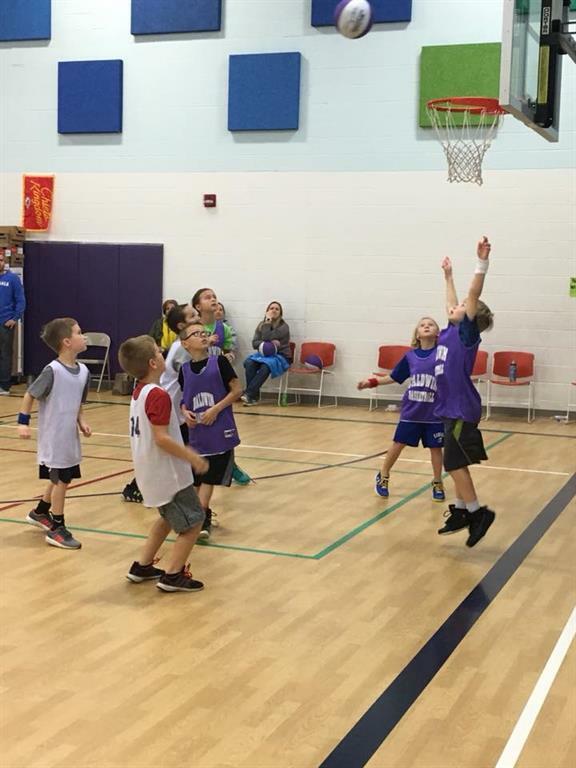 Players in grades 3rd through 6th have the opportunity to participate in basketball leagues with a variety of skill levels. With registration, all players will receive a t-shirt. Basketball games are played on Saturday mornings. Practices will begin in November. 3rd through 6th grade league games will begin in January. All registrations received after the listed deadline will be assessed a $15 late fee. Girls and Boys will be split up into different divisions for this league. Volunteer parent managers and coaches teach the game through an 8 game schedule. Teams are encouraged to practice once per week, coaches will determine practice dates. Teams are formed through a player draft in an effort to create parity. Games are played in Baldwin City, Eudora, DeSoto and Wellsville. There are no standings or post season games at this level. Open Gym Begins Sunday, December 2nd through last week of February. 4:00 p.m. to 8:00 p.m. at BHS. Girls and Boys will play on the same teams for this division. A basketball is included in the registration price. Practices will be held on Monday and/or Wednesday evenings from 6-7pm in the Primary Center beginning in late October. Teams are encouraged to practice once a week. Games only played in Baldwin on November 10, 17, & December 1, 8 at 11:00am. This league is only for 2nd graders. Game Times 11:00 a.m.- 12:00 p.m. This clinic will focus on the basic fundamentals and skills of basketball such as ball handling, dribbling, passing, and proper shooting techniques. Clinic dates are November 10, 17, & December 1, 8. Each participant will be given a basketball to use each clinic date and they will get to keep it after the clinic is over. Make sure to bring it back each date!